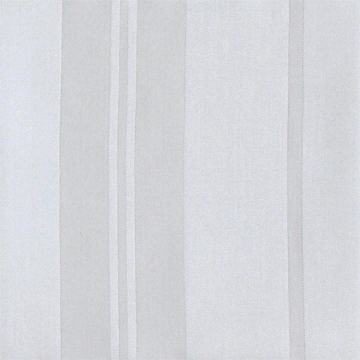 Lucca Stripe Bedding by Legna Bedding - Swatches may be available. Reminiscent and inspired by the art of the City of Luca, Italy, Legna Lucca Stripe bedding in an intricately variegated damask stripe. 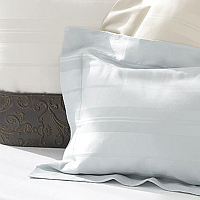 The stripe runs vertically on the duvet to cast depth to your bedroom. This luxury bedding is the ultimate way to add beauty with fabric comfort and smoothness of Legna fabric for luxury bed linen. Supreme fitted sheets are VERY generous. Made for extra deep mattresses, they are sewn with a 17" depth plus 3" to tuck under and elastic all around. 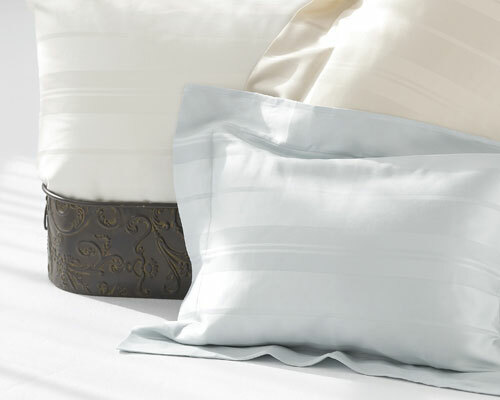 Regular fitted sheets have a 13.5 inch depth plus an additional 3" to tuck under.